Meet Oz . . . he’s got a talent for trouble but his heart’s always in the right place (well, nearly always). Uprooted from his friends and former life, Oz finds himself stranded in the sleepy village of Slowleigh. 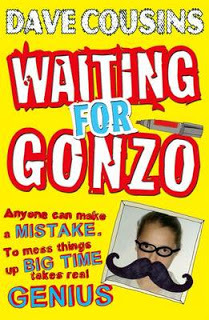 When a joke backfires on the first day at his new school, Oz attracts the attention of Isobel Skinner, the school psycho – but that’s just the beginning. After causing an accident that puts his mum in hospital, Oz isn’t exactly popular at home either. His older sister’s no help, but then she’s got a problem of her own . . . one that’s growing bigger by the day. Oz knows he’s got to put things right, but life isn’t that simple, especially when the only people still talking to you are a hobbit-obsessed kid and a voice in your own head! Categories: Humour, Social/Family | Tags: Dave Cousins | Permalink. Fifteen-year-old Laurence Roach just wants a normal life, but it’s not easy when your mum is a depressed alcoholic, and your six-year-old brother thinks he’s a dog. When Mum fails to come home one night, Laurence tells nobody, terrified he and his brother will be taken into care if anyone finds out. Instead, he attempts to keep up the pretence that Mum is still around: dressing up in her clothes to trick the neighbours and spinning an increasingly complicated tangle of lies. After two weeks on their own, running out of food and money, and with suspicious adults closing in, Laurence finally discovers what happened to his mother. And that’s when the trouble really starts . 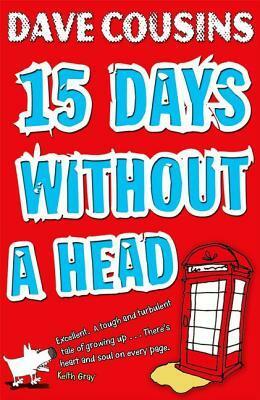 . .
15 Days Without a Head is on our UKYA Top 100 list. Categories: England, Social/Family | Tags: Dave Cousins | Permalink.